McDonald’s new offering is the latest in a wave of vegetarian or vegan product launches, including Gregg’s vegan sausage rolls, a new Marks & Spencer vegan range, and Waitrose’s expansion of its plant-based product line. The Happy Meal, however, is especially interesting – meaty fast-food tie-ins aimed at children, unlike most mainstream food products, combine the consumption of food and the sympathetic engagement with animals. 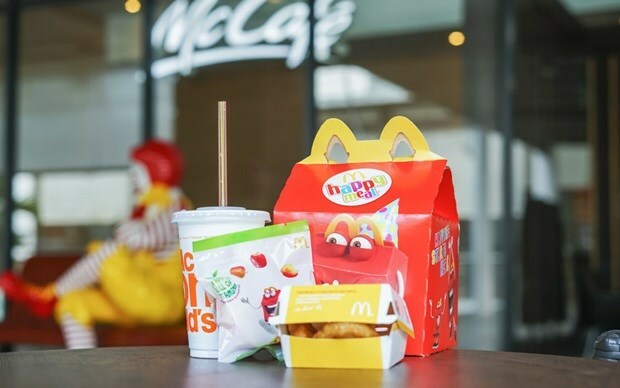 Until now, Happy Meals have diverted children’s affections towards those characters and away from the unhappy truth of the mass exploitation of animals, whose bodies are packaged in the meal box. By making a point that one of the Happy Meal options is now meat-free, will children’s attention be drawn to the reality that there are dead animals in the other options? And as children are encouraged to care about certain animals – while still learning the social norms of which ones we love and which we use – how might they respond? In 2000, Burger King marketed a Kids’ Club Meal tie-in with the animated movie Chicken Run. The film follows a group of chickens trying to escape from a chicken farm producing chicken pies. The farmers are the baddies and the viewer is invited to side with the chickens as they resist their fate. Chicken Run seems to challenge the exploitation of chickens as food – so how did Burger King promote sympathy for anthropomorphised chicken characters alongside promoting consumption of real chicken’s bodies?